Chronicling the ongoing adventure of staging silent film screenings with live music in theaters in New England, USA and elsewhere. Now over 429,000 page views! No holiday season is complete without Stan and Ollie doing some 'Big Business' (1929). Tomorrow night I'm doing live music for a silent film program at an unusual venue. 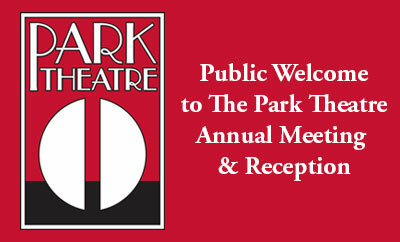 On Thursday, Dec. 1, I haul my gear out to Jaffrey, N.H. for the 10th Annual Park Theatre Annual Meeting. Interestingly, the Park Theatre currently doesn't exist. What's going on is that a local group is working to create a theater and performance space in downtown Jaffrey, a small community in the shadow of Mount Monadnock. At first, their plan was to reopen the Park Theatre, the town's longtime moviehouse that closed back in 1976. After getting into it, they found the original structure wasn't salvageable. 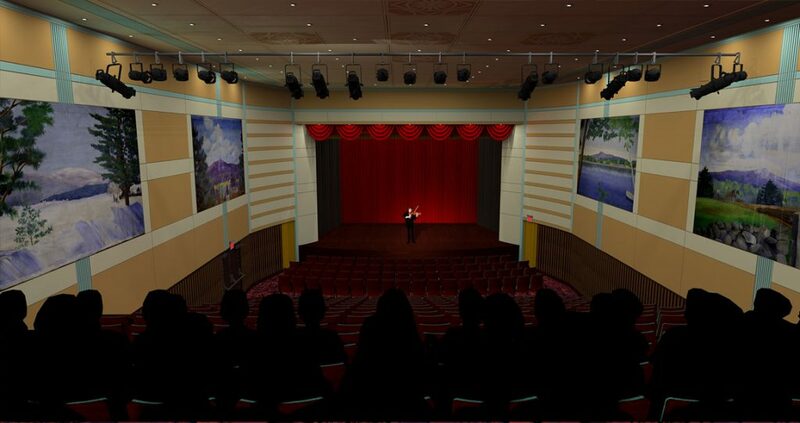 So plans changed to building a new theater, which will begin to rise next year. What the Park's interior will look like. In the meantime, the old place has been razed. So right now, there's no Park Theatre. But there is an annual meeting, and it's Thursday, Dec. 1 at 5 p.m. at the Jaffrey Women's Club, 33 Main St.
For me, it's a great chance to learn more about this exciting project, plus demonstrate how silent film with live music could be a part of what a resurrected Park Theatre might offer. The program is relatively brief and in keeping with the holiday season: two early Edison shorts plus our friends Stan and Ollie in 'Big Business' (1929). It's open to the public. For more information on attending, see the press release below. Many thanks to Caroline Hollister, Steve Jackson, and everyone at the Park for inviting me and including silent film/live music into the Park's portfolio of offerings! Also tomorrow, I'll try something else that's a little different: accompanying silent films on community television! 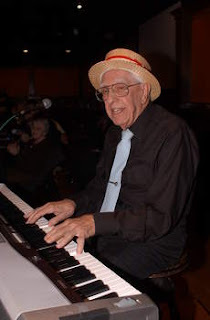 What happened here was about a month ago, I got a call from Paul Bordeleau, a tireless local pianist who specializes in the Great American Songbook and has been a fixture in our part of the world for decades. Paul hosts a show on Bedford (N.H.) Community Television in which he does what he does best: each edition finds him playing through maybe six songs. So Paul wanted to know if I'd be willing to come in and do "five or six songs" of that silent film thing I do. Being a complete whore for silent film music, I said yes, not quite knowing what "five or six songs" would translate to once we got into the details. Well, it's worked out that I'll be doing live music in studio for three films: two animated cartoons that are about four minutes each, and then a Snub Pollard one-reeler. Not a lot, I know, but that's about all you can expect to fit into a half-hour program. So Thursday promises to be an interesting day of shorter-than-usual silent film shows. Hope you can join me in person, or see you on the air! Stan and Ollie celebrate the Yuletide Season with James Finlayson in 'Big Business' (1929). And a happy new ear! JAFFREY, N.H.—What did people watch before holiday TV programs such as "Rudolph the Red-Nosed Reindeer" and "A Charlie Brown Christmas" first aired in the 1960s? See for yourself with a special program of holiday classics from way back during the silent film era, all accompanied by live music. Included will be the first-ever film versions of such popular tales as 'A Christmas Carol' by Charles Dickens and 'Twas the Night Before Christmas,' the poem by Clement C. Moore; each is less than 10 minutes long. The family-friendly program is part of The Park Theatre's 10th Annual Meeting and Reception, scheduled for Thursday, Dec. 1 from 5 to 7 p.m. at the Jaffrey Women's Club, 33 Main St., Jaffrey. Live music will be provided by Jeff Rapsis, a New Hampshire-based silent film accompanist who performs regularly at screenings around the nation. This year’s meeting and entertainment will follow the tradition of meetings past that featured live music, delicious refreshments, sing-a-longs, comedians, Boy Scout Troop presentations, and performances by the Peterborough Chamber Choir, Small Pond Productions, Project Shakespeare, and stage readings by local stars. The program will include the first known movie versions of 'A Christmas Carol' (1910) and 'Twas the Night Before Christmas' (1905). 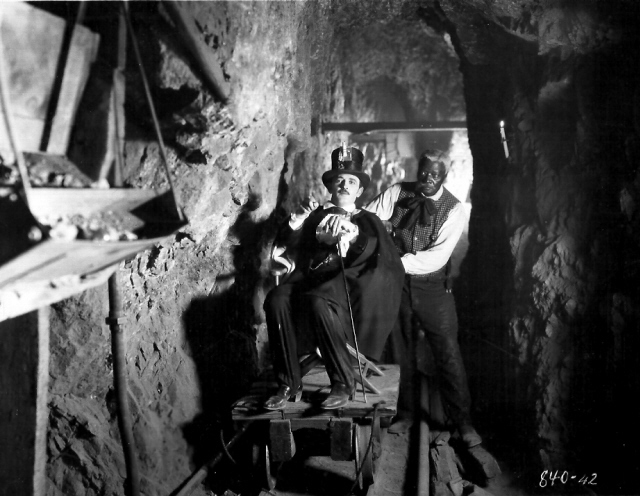 The films each run less than 10 minutes long and were both produced as novelties by Thomas Edison, the inventor credited with pioneering the motion picture. 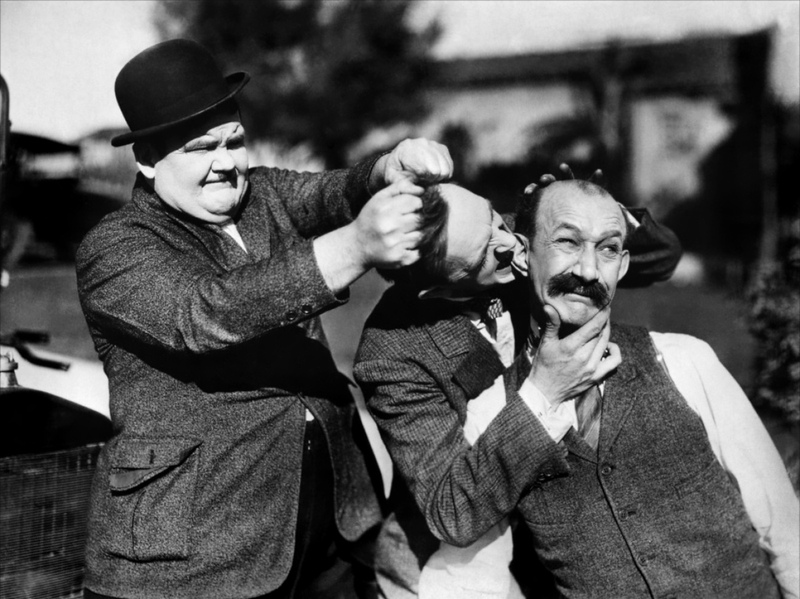 The evening will be highlighted by a screening of 'Big Business' (1929), a Christmas-themed silent film comedy starring Stan Laurel and Oliver Hardy. "Even in the early days of cinema, the movies helped popularize classic holiday stories," Rapsis said. "So it's a real treat for us to turn back the clock and see where the tradition of holiday movies and TV specials first began." The Park Theatre's holiday program will give local audiences a chance to experience silent film as it was meant to be seen—on a large screen, with live music, and with an audience. Also, it's a sample of the entertainment and cultural possibilities that a revitalized Park Theatre would offer the community. "All those elements are important parts of the silent film experience," said Rapsis, who improvises a movie's musical score live as it screens. "Recreate those conditions, and the classics of early Hollywood leap back to life in ways that can still move audiences today," Rapsis said. Rapsis performs on a digital keyboard that reproduces the texture of the full orchestra and creates a traditional "movie score" sound. 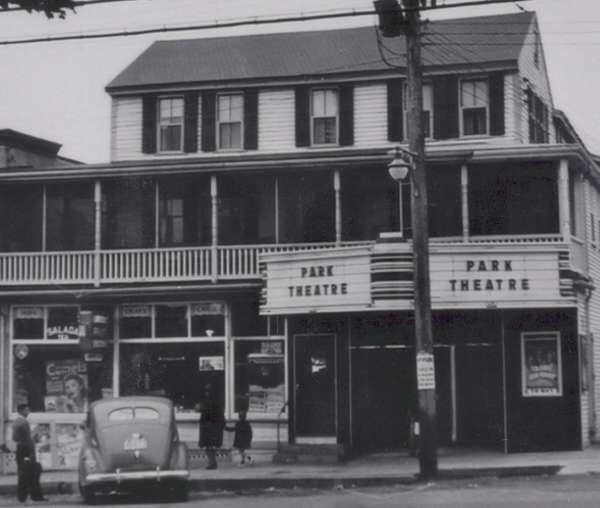 The Park Theatre is the dream of Romulo Vanni, an Italian immigrant who sought to better his community with the bold idea of a movie and vaudeville house right downtown. The original Park Theatre in 1941. In 1922 Romolo cut his house in half and raised it on columns so patrons could pass under it and into his barn for movies and shows. For 54 years, The Theatre was a vibrant center of Jaffrey’s cultural and community life before going “dark” in 1976. Rediscovered in 2001, the Theatre has become the focus of a community-wide revitalization effort. Once reopened, it will present movies, children’s programs and live fine arts performances in a state-of-the-art facility. After more than a decade of planning and fund-raising, construction on the new Park Theatre is scheduled to begin in 2017. 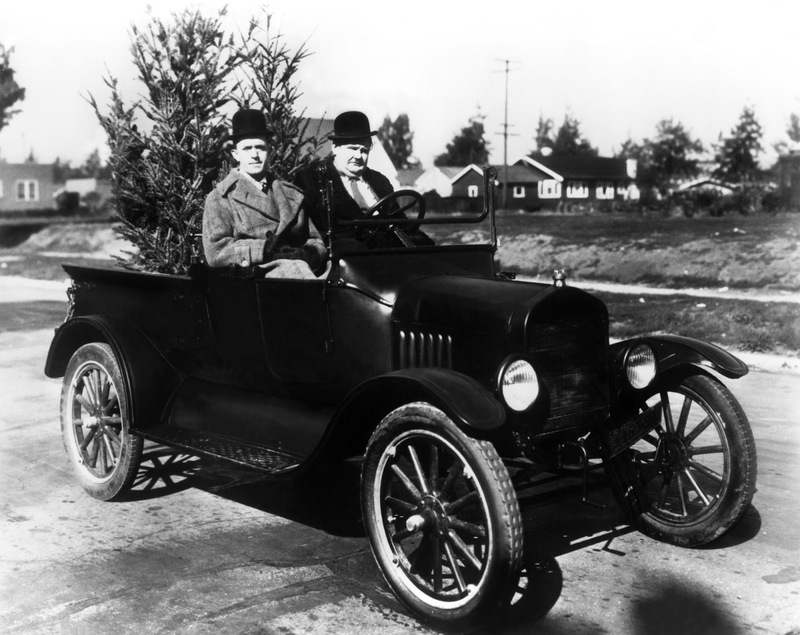 A program of holiday silent film classics will be shown as part of The Park Theatre Annual Meeting on Thursday, Dec. 1 from 5 to 7 p.m. at the Jaffrey Women's Club, 33 Main St., Jaffrey. 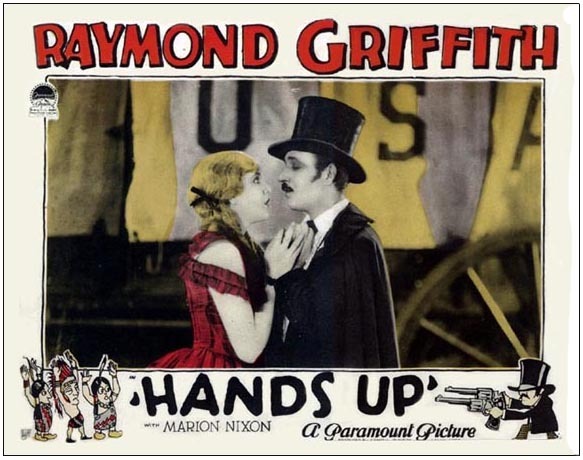 'Hands Up' (1926), part of a double bill of Raymond Griffith comedies this weekend. Happy Thanksgiving to all! Been away from the blog because so much is going on. But there's a good silent film program coming up on Sunday afternoon and wanted to get out the word. The name "Raymond Griffith" doesn't inspire a lot of name recognition these days. One reason is that many of his films aren't available to be seen and enjoyed. 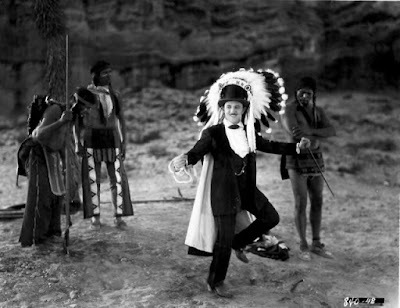 But at his peak in the mid-1920s, Griffith rivaled Chaplin, Keaton, and Lloyd as one of Hollywood's top laugh-getters. 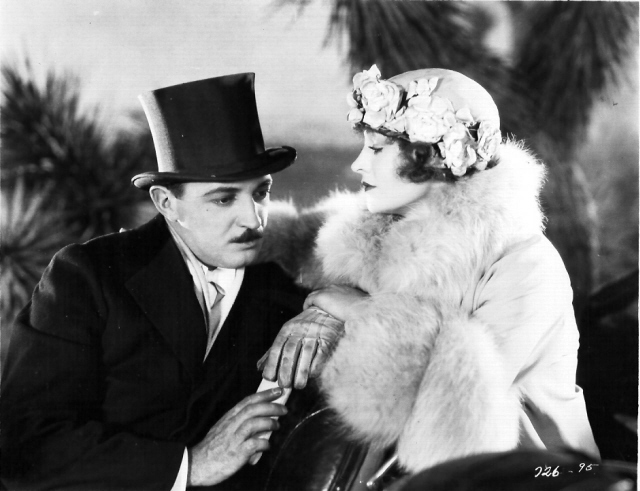 We're fortunate, however, to have two titles that show Griffith at his best: 'Paths To Paradise' (1925) and 'Hands Up!' (1926). Both make a great double bill, and that's what we're running on Sunday, Nov. 27 at 4:30 p.m. at the Wilton Town Hall Theatre in Wilton, N.H. So burn off those extra holiday calories by joining in a great aerobic exercise: communal laughter. Here's info about Griffith and the two films in the form of a press release that never got sent out. Told you I'm behind! WILTON, N.H.—He was a silent film actor who really couldn't talk, thanks to a childhood vocal injury. He was Raymond Griffith, the "Silk Hat" comedian, whose film star popularity in the 1920s rivaled that of Charlie Chaplin and Buster Keaton. But Griffith's lack of a speaking voice prompted an abrupt end to his on-screen career when talkies arrived in 1929. Most of his starring feature films have since disappeared, causing Griffith to be virtual unknown today. But the elegantly dressed comic, who as a youngster attended St. Anselm Prep School in Goffstown, N.H., will return to the cinematic spotlight once again on Saturday, Nov. 26 with a double feature of two of his surviving works. 'Paths to Paradise' (1925) and 'Hands Up!' (1926), a pair of comedies regarded as his best, will be screened with live music on Sunday, Nov. 27 at 4:30 p.m. at the Wilton Town Hall Theatre, 40 Main St., Wilton, N.H. Admission is free, with a suggested donation of $5 per person. "Griffith's character was that of a worldly, shrewd, and quick-thinking gentleman, usually dressed in a top hat and a cape, who enjoyed outwitting con artists and crooks at their own game," said Jeff Rapsis, a New Hampshire-based silent film musician who will improvise scores for both films. "It turns out he was very different from Chaplin or Keaton, and so were his films—they seem a bit more cynical and so perhaps more modern. But we've shown them before and they hold up well with a live audience today." 'Paths to Paradise' (1925) stars Griffith as a polished con man who competes with a feisty female jewel thief to steal a heavily guarded diamond necklace. The film finishes with a wild car chase through the California desert. Unfortunately, all existing prints of 'Paths to Paradise' are missing the final 10 minutes, but the film ends at a point that completes the plot and provides a satisfying finish. Raymond Griffith rides a different kind of underground railroad in the Civil War comedy 'Hands Up!' (1926). 'Hands Up!' (1926) features Griffith as a Confederate spy during the Civil War whose mission is to prevent a shipment of gold from reaching Northern forces. The film survives complete, and is considered by most critics to be Griffith's masterpiece. Both films were produced and released by Paramount Pictures, where Griffith was under contract in the 1920s as one of the studio's leading stars. "All of these films were designed to be seen in theaters by large audiences, not on a small television screen by people sitting at home," said Rapsis, who provides music for the Flying Monkey's monthly silent film series, which aims to honor the recently renovated venue's historic roots as a local moviehouse.. "In showing silent films, the Flying Monkey aims to recreate the lost magic of early cinema comedy by bringing together crucial elements for its success—the best available prints, projection on the big screen, a live audience, and, in the case of silent films, live music." Born in Boston in 1895, Griffith injured his vocal cords at an early age, rendering him unable to speak above the level of a hoarse whisper. After appearing in circuses and attending at least one year (1905-06) at St. Anselm Preparatory School in Goffstown, N.H., he went on to serve in the U.S. Navy prior to World War I and in 1915 wound up in Hollywood, where the movie business was already booming. Early on, Griffith worked at Mack Sennett's Keystone studio, where he developed a reputation as an excellent actor and a superb comedy writer and director. He eventually gravitated to behind-the-camera duties, serving as Sennett's right-hand man for a time. He eventually moved to the then-new Paramount studios in the early 1920s, where he began to appear again in on-camera roles. Griffith's mastery of character parts made him immediately popular, prompting Paramount to star him in his own movies starting in 1924. In the next few years, he completed a dozen feature films, most of which today are lost due to neglect or improper storage. If not cared for properly, older film stock will decompose and sometimes burst into flames. About 80 percent of all silent film is presumed lost due to this and other factors. Following the arrival of sound pictures in 1929, Griffith's lack of a speaking voice forced a return to behind-the-camera work, with one notable exception: he played a non-talking role as a dying French soldier in Lewis Milestone's World War I classic 'All Quiet on the Western Front,' (1930) which won that year's Academy Award for Best Picture. As a producer, Griffith's work included the classic family film 'Heidi' (1937) and 'The Mark of Zorro' (1940). He retired in 1940, and died in 1957 at age 62 after choking at a Los Angeles restaurant. "Though he's not as well known today as Charlie Chaplin or Douglas Fairbanks Sr., Raymond Griffith was doing some really good work during the peak of his career," Rapsis said. "It's great that the public will get a chance to appreciate the two wonderful Griffith films as part of the Town Hall Theatre's silent film series." 'Paths to Paradise' and 'Hands Up' will be shown on Sunday, Nov. 27 at 4:30 p.m. at the Wilton Town Hall Theatre, 40 Main St., Wilton, N.H. Admission is free, with a suggested donation of $5 per person. For more info, call (603) 654-3456 or visit www.wiltontownhalltheatre.com. For more info on the music, visit www.jeffrapsis.com. An original poster for 'Wings' (1927). 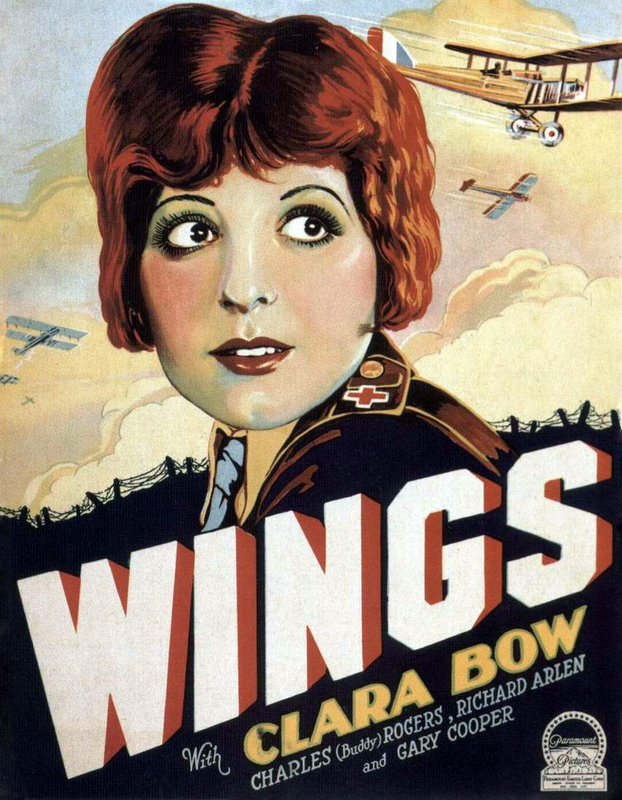 Because it was the first big drama for which I created live music, 'Wings' (1927) has a special place for me. So I couldn't be more pleased to be doing music again on Friday, Nov. 4, at a screening to benefit the Aviation Museum of New Hampshire. The screening will take place in the exhibit hall of the museum, which is housed in the original terminal at Manchester-Boston Regional Airport. Talk about a fitting location! The hall resembles a working hanger, and we're hoping a good turnout will fill the place up. Showtime is 7 p.m.; tickets ($15 for members, $20 for non-members) will be available at the door. More info about the screening and the film is in the press release at the bottom of this post. But with 'Wings,' there's another reason the film has special significance to me. My father, who died back in 1968 when I was just age 4, was a career pilot who flew military (in World War II) and commercial. He loved aviation from childhood. In fact, he got his first pilot's license before he learned to drive! I recall my grandmother saying that with his brothers, she'd find pictures of girls until their pillows, but with Jack (my Dad), she'd find pictures of airplanes. Buddy Rogers and Clara Bow in front of a surprisingly cheesy backdrop to promote 'Wings' (1927). Well, 11 seems to be just the right age for a boy to be really impressionable about certain things. And so we'll never know this for sure, but I have a feeling that Dad must have gone to a screening of 'Wings' that late summer of 1927, when the film was in theaters. And I have this idea that the movie fired his imagination enough to make airplanes and flying a major interest from then on, and eventually his profession and his life's work. As I said, we'll never know. But something in me feels certain that this took place to some extent. Absent concrete information, I suppose we're entitled to make up our own myths. And so one of mine involves a young boy in Nashua, N.H. going to the movies on a Saturday afternoon in August, perhaps unwillingly, because it's a "grown-up" drama and a long one to boot. But once there, he becomes absorbed by the story, and then fascinated by the close-up views of the magical machines that give people to ability to fly through the sky! When the lights come up, it's all over. His mind is flooded by visions of airplanes, pilots, and flight. He doesn't know it yet, but the course of his life is forever changed. Well, it's a nice idea, and gives the 'Wings' special significance to me each time I've accompanied it. And maybe something like my Dad's experience will happen again this Friday at the Aviation Museum of New Hampshire. Bring a pre-teen along and see what happens. 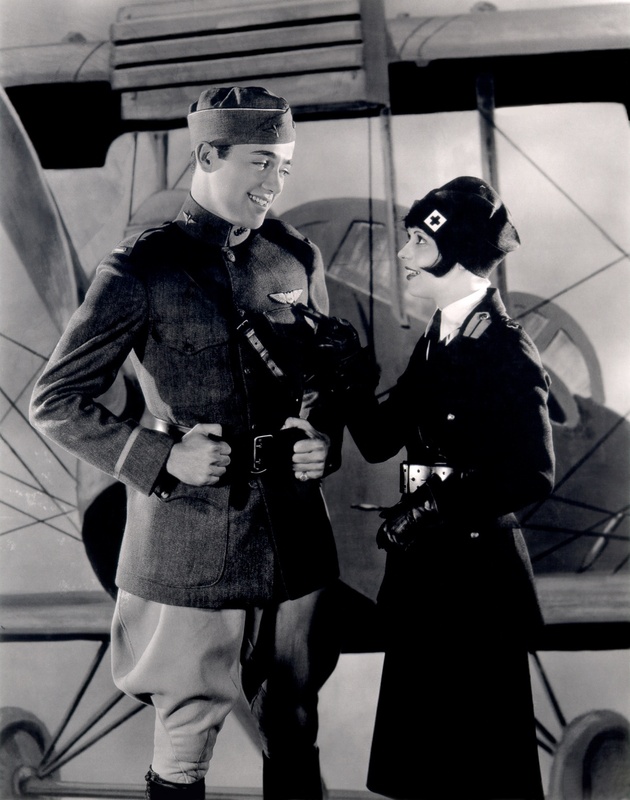 Buddy Rogers, Clara Bow, and Richard Arlen in 'Wings' (1927). Epic silent film 'Wings' (1927) to be shown on Friday, Nov. 4 at Aviation Museum of N.H.
LONDONDERRY, N.H.—The Aviation Museum of New Hampshire will go Hollywood this week with a special benefit screening of 'Wings' (1927), an epic adventure film set in World War I that won 'Best Picture' honors at the very first Academy Awards ceremony. 'Wings' will be revived for one showing only on Friday, Nov. 4 at 7 p.m. in the exhibit space of the museum, which is located at 27 Navigator Road, Londonderry. There will be a cash bar reception starting at 6 p.m.
Tickets are $15 for museum members, and $20 for non-members. Tickets may be purchased online at www.aviationmuseumofnh.org. The screening will feature live music by New Hampshire-based silent film accompanist Jeff Rapsis, a New England based composer who specializes in creating music for silent film presentations. The show will allow audiences to experience silent film the way its makers originally intended: on the big screen, with live music, and with an audience. 'Wings,' a blockbuster hit in its original release, recounts the adventures of U.S. pilots flying combat missions behind enemy lines at the height of World War I in Europe. 'Wings' stunned audiences with its aerial dogfight footage, vivid and realistic battle scenes, and dramatic love-triangle plot. 'Wings' stars Clara Bow, Charles 'Buddy' Rogers, and Richard Arlen. The rarely-seen film also marked one of the first screen appearances of Gary Cooper, who plays a supporting role. 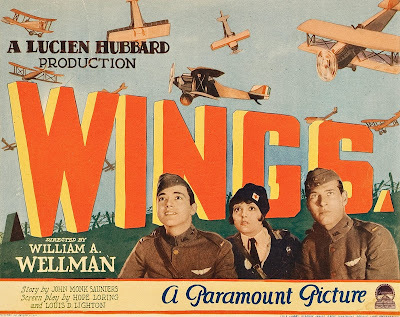 Directed by William Wellman, 'Wings' was lauded by critics for its gripping story, superb photography, and technical innovations. 'Wings' is notable as one of the first Hollywood films to take audiences directly into battlefield trenches and vividly depict combat action. Aviation buffs will also enjoy 'Wings' as the film is filled with scenes of vintage aircraft from the early days of flight. Seen today, the film also allows contemporary audiences a window into the era of World War I, which was underway in Europe a century ago. The U.S. entered the war in 1917.
" 'Wings' is not only a terrific movie, but seeing it on the big screen is also a great chance to appreciate what earlier generations of servicemen and women endured," accompanist Jeff Rapsis said. "It's a war that has faded somewhat from our collective consciousness, but it defined life in the United States for a big chunk of the 20th century. This film captures how World War I affected the nation, and also shows in detail what it was like to serve one's country a century ago." Rapsis, a composer who specializes in film music, will create a score for 'Wings' on the spot, improvising the music as the movie unfolds to enhance the on-screen action as well as respond to audience reactions. Rapsis performs the music on a digital synthesizer, which is capable of producing a wide range of theatre organ and orchestral textures. "Live music was an integral part of the silent film experience," Rapsis said. "At the time, most films weren't released with sheet music or scores. Studios relied on local musicians to come up with an effective score that was different in every theater. At its best, this approach created an energy and a connection that added a great deal to a film's impact. That's what I try to recreate," Rapsis said. 'Wings' is about 2½ hours long. The film is a family-friendly drama but not suitable for very young children due to its length and intense wartime battle scenes. ‘Wings’ will be shown with live music on Friday, Nov. 4 at 7 p.m. at the Aviation Museum of N.H., 27 Navigator Road, Londonderry. Tickets are $15 for museum members, and $20 for non-members. Tickets may be purchased online at www.aviationmuseumofnh.org. For information, contact the museum at (603) 669-4820. • Want to Stage a Screening?